Adobe Premiere Pro, which is included in Adobe Creative Cloud (web development, graphic design and video editing programs), is usually shorten as Premiere Pro by users. It is an industry standard and timeline-based video editing tool offering a great number of functions for editing videos or movies. It has been widely used in making hit movies such as Avatar, Monsters, Deadpool, Captain Abu Raed and so on. However, it might not be an ideal option for you to edit videos due to its $20 per month and ultra-modern functions. Why not try to use Adobe Premiere Pro alternative that you actually need? 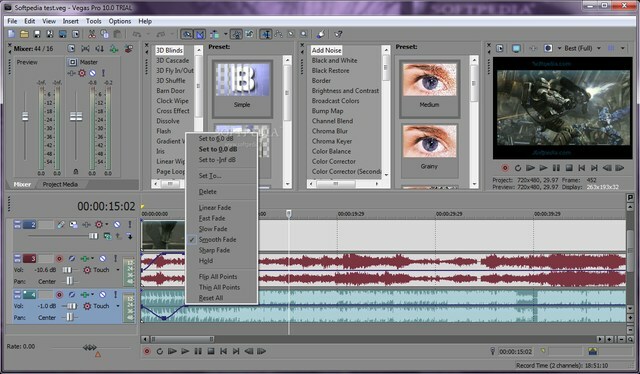 ApowerEdit is a powerful yet very simple-to-use video editor that is designed for multi-purpose media processing. Whether you are at the beginning level of video editing or not, you will find its features applicable for your ongoing project or business. 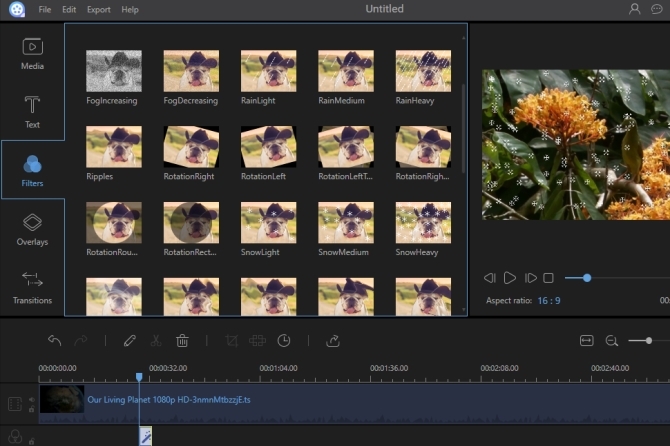 Although it is not built with super sophisticated technology like Premiere Pro, it is enough to perform various and useful video editing functions perfectly. This alternative to Adobe Premiere Pro provides you with these video editing features: basic video/audio editing, stunning overlays and filters templates, animated titles, dynamic transitions, etc. It has a very beautiful, interactive, and professional interface. Since it uses timeline to edit videos, you will find it never be easier to trim video, split audio, add video effects, or edit texts. It supports importing various kinds of video, audio, image formats and exporting files as popular formats compatible to any of your devices. Sony Vegas Pro is the name of industry’s level editor which may goes head-to-head with Adobe Premiere Pro for editing features. One outstanding feature of it is that it can edit 2D or 3D video with 4K resolution. Unlike using other video editors, you are allowed to take full control over how you would like to edit by customizing its interface at will. It can not only work with almost all types of video effects, but also import project and convert it to native format automatically. By using this Adobe Premiere Pro similar software, you will enjoy its advanced and unique features. It delivers you with the following features: 3D preview, GPU acceleration, color matching, auto-correct alignments, separate edit windows, stereoscopic 3D adjustments, multi-administrator support, masking tools and many more. Overall, if you are a professional expertise, you will find Sony Vegas Pro can make your multimedia creation experience fast and easily. To be honest, it is not an optimal tool for novice to make only a home video. Lightworks which is the winner of EditShare’s Academy and Emmy Award, is a Non-Linear Editing software for editing various resolutions including 4K, 2K, HD and SD. It is a video editor with a proud history for editing greatest movies: Hugo, The Wolf of Wall Street, The King’s Speech, Pulp Fiction, Road to Perdition and so on. When you see the editor at the first sight, you might be disappointed about its lack on resources. Actually, it comes with many kinds of professional functions including powerful background import, render and export engine, multi-channel audio mixer, real-time waveform and vectorscope, color correction with keyframes and visual effect routing, comprehensive multi-layered timeline, 3D LUTS and many more. It has free and paid versions. Only by purchasing its paid version, you can enjoy all its features and export files in many more formats: Panasonic and Sony formats, DNxHD, MXF, AVCHD, MOV, AVI, AVID. 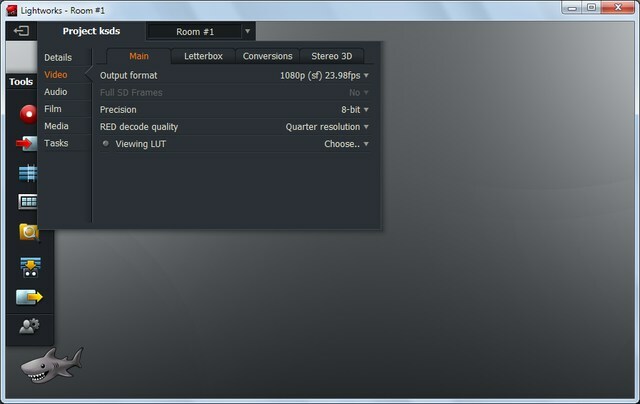 Moreover, you can export edited project as MPEG-4 at resolution up to 4K or to DVD, Blu-ray. 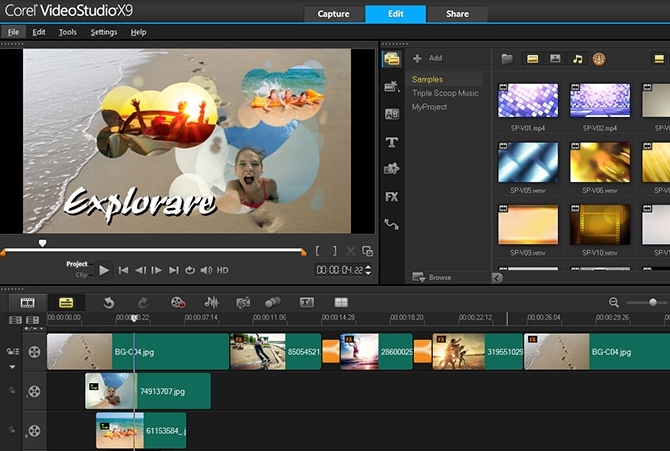 Corel VideoStudio is a high-level of video editor that allows you to make your video look great easily. Built with a faster 4K and HD rendering system, it could help you process files without stutters. Its advanced audio tools allow you to improve sound automatically. Apart from this, it also packs in many other video editing features: 1,500+ customizable transitions, effects, titles, frame freezing and stopping motion. It can be Adobe Premiere Pro replacement for you who just want to make simple edits or produce fine films. Now even without using Adobe’s software, you may choose Adobe Premiere Pro alternative to edit video according to your needs. If you are at the beginning level of editing videos, I would recommend you to use ApowerEdit. If need efficient and powerful editors for creating videos with magic or stunning effects, then the other 3 ones will be your best options. 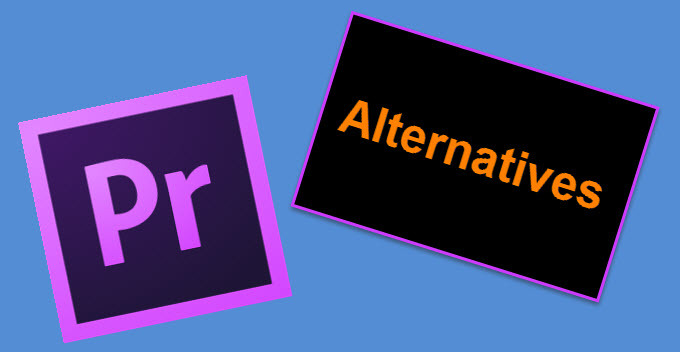 Just discover other great Adobe Premiere Pro alternatives based upon your own experiences? Please share them in the comment section below so that more video editing enthusiasts can know them. You will be highly appreciated.